AAMCO South Tampa, FL can prepare your vehicle for winter weather conditions with our comprehensive winterization service. At AAMCO South Tampa, FL, we understand the importance of preventative maintenance as it relates to your vehicle’s performance. This is especially true when transitioning to the cold season, in order to prepare for driving in harsh winter conditions. 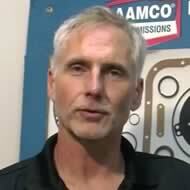 Winterizing your vehicle is easy at AAMCO South Tampa, FL. Many of these services consist of simply replacing the fluids in your vehicle while some are preventative measures. Proper fluid levels, especially the engine oil and engine coolant along with your battery's condition, will make sure your vehicle is ready for winter. We here at AAMCO South Tampa, FL have the expertise and the tools to maintain your car, truck or SUV and prep your vehicle for the harsh winter with our special winterization services designed to keep you and your car on the road, even in the coldest weather. Call today for a convenient appointment.